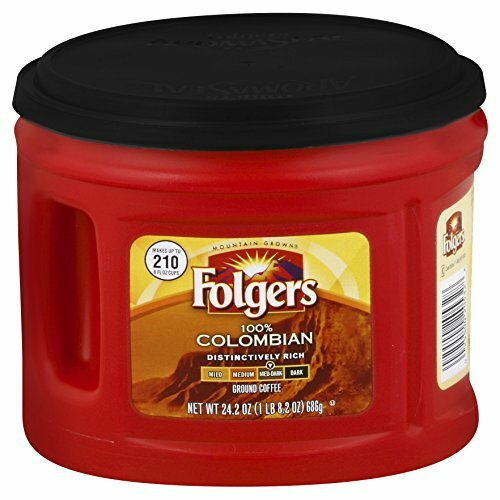 Folgers 100% Colombian coffee bursts with a distinctively full-bodied taste of 100% Colombian beans that will have you looking forward to it every morning. Bold coffee that is distinctively rich and uniquely flavorful. Founded in San Francisco, Folgers is an iconic American brand with a history as rich as its coffee. For more than 150 years, Folgers has been the “Best Part of Waken’ Up” with its Mountain Grown beans and fresh, eye-opening aroma. Folgers coffee provides you with consistently rich, pure taste, cup after cup. Our great taste is equally matched by the dedication to bringing you the flavors you love in the format you choose. Some of your favorite Folgers roasts are also available in canisters, K-Cup Pods, instant, individual single serve packets and other convenient formats.